Timmy Patterson Pill model has been the work horse in his stable since it first came out. A T. Patterson original, was have redesigned and refined it to perfection for 2014. The outline has a continuous curve from nose to tail with medium entry rocker and slight flip in the tail. This combination of curve and bottom contour make The Pill faster and snappier even with the wider tail. The Pill is designed for smaller surf therefore Timmy put a single to slight double vee off the tail. The vee really helps rolling this board onto rail and sustaining maximum drive. This board has full round everything; rails, nose, and tail. 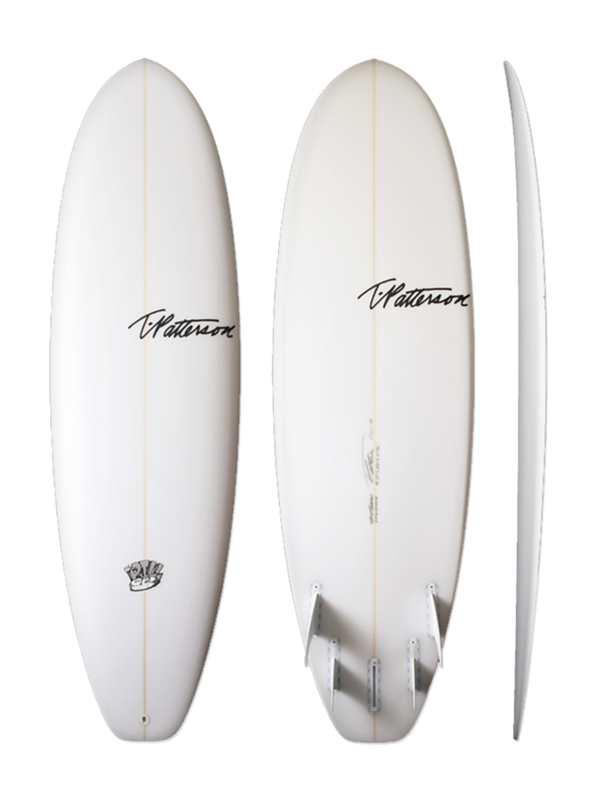 This model works unreal with large twin fins and a small trailer fin but also works as a standard tri fin or quad.